The journey of the digitally restored version of The Apu Trilogy is packed with dark stories and years of near detective work by those determined to preserve some of Satyajit Ray's finest works. Aseem Chhabra finds out more from Peter Becker and Lee Kline, the two men behind the restoration. Exactly 60 years ago, May 3, 1955, the Museum of Modern Art in New York City held the world premiere of Satyajit Ray's film Pather Panchali. The story goes that Ray worked on a 24-hour schedule to get the print on the flight. Ray did not accompany the film and the print that played at MoMA did not have subtitles. But the film was a success among film connoisseurs. The next year it was invited to play at the Cannes Film Festival where it won the Best Human Document award. Two years later, the film had a theatrical release at the Fifth Avenue Playhouse in Manhattan where it ran for eight months -- something unheard of these days. 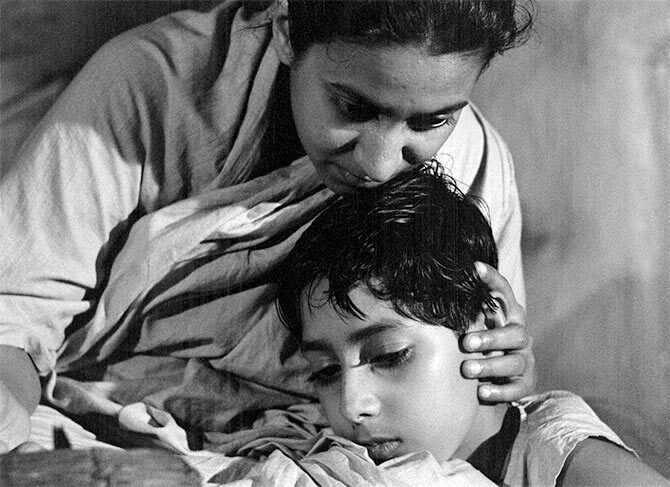 To mark the 60th anniversary of Pather Panchali, MoMA will host a screening of the film May 4. 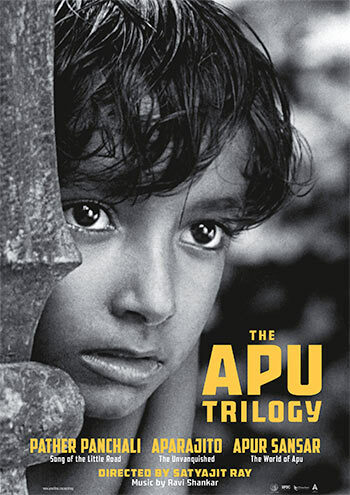 Later that week Janus Films and the Criterion Collection will release brand new 4K restored prints of The Apu Trilogy -- first at the Film Forum in New York City and later at art house theatres in many cities across the United States. It is a rare honour and a celebration for the three masterpieces that in many ways are the best-known Indian films in the West and elsewhere. Despite the growing interest in Bollywood in Europe, Asia and even North America, a number of remarkable Indian indie films that have played in recent years at major film festivals, no other Indian filmmaker has earned the kind of recognition that was given to Ray. 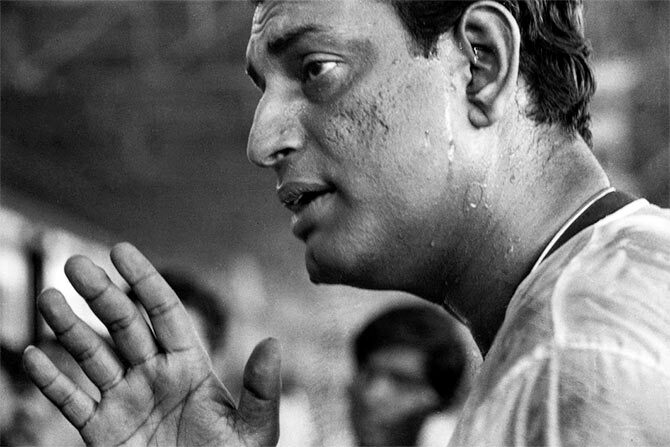 There is a reason why the Japanese master Akira Kurosawa said the following about Ray: 'Never having seen a Satyajit Ray film is like never having seen the sun or the moon. But this journey of the digitally restored version of The Apu Trilogy is packed with dark stories, including a fire in a film laboratory in London that nearly destroyed all the original negatives of the three films and it involves years of dedicated and near detective work by experts and lovers of cinema who were determined to preserve the three masterpieces. Rediff.com contributor Aseem Chhabra spoke to the two men behind the 4K restoration of The Apu Trilogy -- Peter Becker who heads Janus Films and the Criterion Collection, and Lee Kline, Technical Director who oversaw the restoration for Criterion. Ten years ago a restored Pather Panchali was shown at the International Film Festival of India in Goa and then at Cannes. Peter: That was not a digitally restored print and it was also not taken from the original negative. It was the best the Academy could do at that time. When you are working with different materials and matching different generations (a term used for copies of positive prints made from other copies) prints, one piece of material is a positive and the other best piece is a negative, then one of those sequences will lose another generation. If they are off the step, something has to be duplicated twice if you are connecting two negatives or two positives. Lee: One of the advantages of working digitally is that we can scan any generation and not lose a generation. We can mix and match without losing the generation. So where does the story of restoration of Ray's films begin? Peter: It starts with when Ray was give the honorary Oscar in 1992. When the Academy of Motion Pictures Arts and Sciences sourced material for the ceremony they realised the existing prints and negatives were in very poor condition. In 1993 the restoration process was initiated by Ismail Merchant. It was privately funded and he had Sony Pictures Classics lined up to distribute them. He pulled together all the licenses, and they moved the films to London. Six of the negatives of Ray's films were stored at Hendersons Film Laboratories in South London. There was a nitrate explosion in the lab and it burst into the safety section and the six negatives were all burnt. Unfortunately, the three original negatives of The Apu Trilogy were in that lot. What was lost in the fire? Lee: We believed they were lost, but actually they were burnt. Peter: For photo chemical purposes the negatives were not useful. They would not print. They were so brittle that they couldn't be unspooled. And they also announced the project to find other ways to find suitable prints. There were series of prints made in the Academy's offices, but from secondary elements, not using the original negatives, because the original negatives had been burnt and were deemed unprintable. At that time we had no means of digitally restoring films or scanning them gently as we have now to handle something as fragile that went through a fire. Essentially those prints were the best prints they could make using other prints. And there were some materials that they didn’t know about at that time. So at some stage you stepped in to digitally restore the films. Peter: We began in India where we found there was nothing. Then we looked at all the Academy prints, which to our purposes were too many generations down the line. We knew we wanted to work with the materials they worked on to make those prints at best. Some of those materials even had subtitles burned into them, which were not useful for our purposes, since we wanted to do our own subtitles. Lee: We wanted to always work with pre-print elements, ideally the original negative or the fine-grain master, which is the first positive print off the original negative or a dupe negative, which is the first generation of the negative off the fine-grain master. Those are the three forms we look for. Peter: We found some materials at BFI (The British Film Institute). We also found some materials we had preserved many years ago, even before we at Janus Films had the rights. Those materials were going to be thrown away, but we had agreed to save them at the Harvard Film Archives. Those were the fine-grain masters and dupe negatives. Lee: I was still not happy. The duplicates that were made from the original were really lacklustre. Black wasn't black in the prints. They were quickly made so they were dirty. It was not ideal for starting something. Peter: We thought we had everything, but then in 2013 we got a call from the Academy saying they had some cans that were not labeled. They asked us to look at the cans. These were the films that had gone through the fire. The reason these cans were not logged was because there was no complete piece of film there. There wasn't a complete negative or a reel that could have been hung or played with. Lee: They opened the cans. It was extremely fragile and brittle. There was only one reel that could be unspooled a little bit, that could be lifted without it falling apart. Our concern was to see if there was any image between the sprockets to see how we could save it. Peter: The one reel that could be unspooled was sent to L'Immagine Ritrovata in Bologna, one of the world's premier restoration facilities. The people from the lab there said send it to us and let us prove it that we can save it. As a digital lab they are pretty accurate and a counterpart to our lab here in New York. We use the same tools. We have restorers who do exchange programmes and have been trained here and there. They brought the film there. They rehydrated the brittle film (using one-part glycerol, one-part acetone and three parts water), so it could be unspooled. Now it was flexible to handle. There still were problems. The stuff at the outside of the reels was more burned then in the core. And the stuff that was against the wall was not that burnt as compared to the stuff that was out in the open. That changes the geometry of the film. Smoke and heat had warped the negatives. We were worried if it would go over a scanner. The final digital restoration was done in New York, right? Peter: Yes, here in our office. With the efforts to salvage the original negatives we were able to work on 40 percent of Pather Panchali and 60 percent of Aparajito. The two surviving reels of Apur Sansar could not be used because of the damage. Finally, we were able to work on a fine-grain master and a dupe negative for Apur Sansar. How much did the whole process of restoration cost? Peter: We cannot put a price on it. We began the project seven years ago. Are you going to charge for our time, the time it to track down the rights, the materials? We don't know the number. When did you both first see the trilogy? Peter: I think I saw the first two films when I was in college in the '80s. I grew up with a lot of films. My father was in the international film distribution business (heading Janus Films), and they actually distributed a number of Ray films, including The Music Room and earlier even The Apu Trilogy. That is why we had old films saved at the Harvard archives. I hadn't seen Apur Sansar until just before we started seeking the rights. The first two films hang together. Apur Sansar represents a new phase for Ray's career, because it has Soumitra Chatterjee and Sharmila Tagore and launches a new era as such. For me what Ray represents is one of the most important first flowering of post-war globalisation. I think there was a kind of a world consciousness in the wake of the Second World War. There was also so much worldwide reconciliation that needed to happen. The arts became a venue for that. I think of Ray as a great humanist filmmaker in the tradition of Jean Renoir or the Italian Neo-Realists. But he was taking his experience of those films back to Bengal and making films in what is really distinctly his own style. Clearly, he is an auteur; he has his own rhythm, his own set of concerns. But it is a very East meets West kind of moment. There is even a message in the prize that was given to Pather Panchali at Cannes -- Best Human Document. The way people received the film was that it was a letter from another place that they didn't even know existed. There was an openness and curiosity about the world and the breaking down of barriers, and breaking down of provincial views of art, literature and film, where people are seeking out voices from other parts of the planet. To me this whole thing represents a really important moment for the arts and humanity. That's why I am so attached to this project. Lee: I only saw the films while we were in India and Peter had purchased a DVD of Pather Panchali in Calcutta. I was sick in my hotel in Mumbai and Peter had gone to Pune and that's when I watched it. I remember thinking how will I get through this as it looks now. It looked so bad, but I knew that under that there was a really good film. When we finally started to watch the film from the negatives, I realised these are beautiful films. You couldn't tell them from the early editions on DVD. The negative is itself beautiful, but it didn't stay that way. In watching the restored films I noticed the subtitling. I have seen The Apu Trilogy many times. But there were new words and sentences. Who did the subtitling for you? Peter: We have a very intimate relationship with our subtitling house in Los Angeles. You don't just need a good Bengali translator, but also need a good rendering in English. It's a two-part process. It's a constant negotiation between the literal translation and the meaning of things, where idioms don't translate. You can over translate and make the film hard to watch because people would only be reading subtitles, or you can under translate. I am not a Bengali speaker, so I cannot speak for the translation, but I can say that this rendering is a much more satisfying experience of the film.